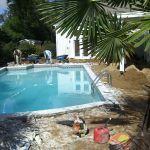 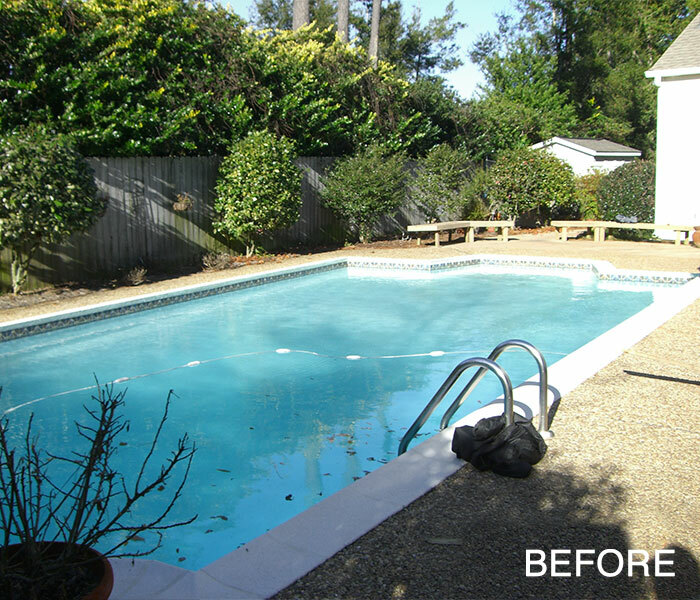 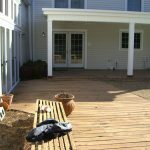 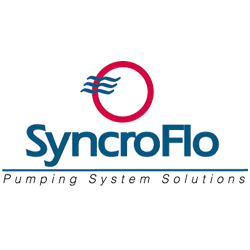 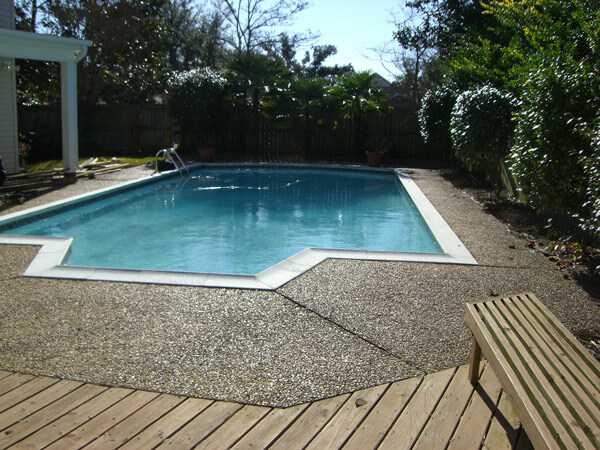 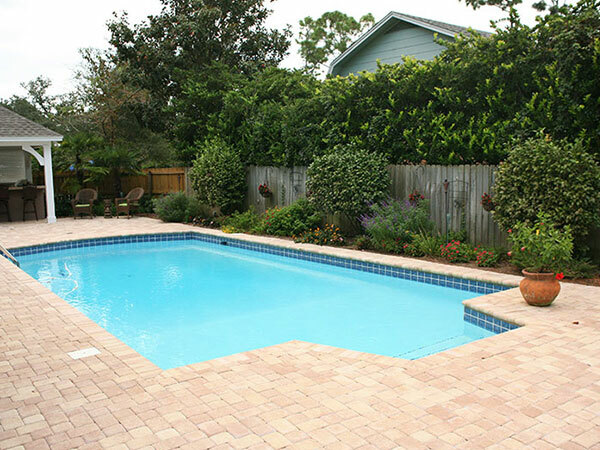 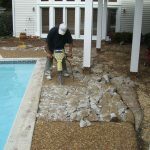 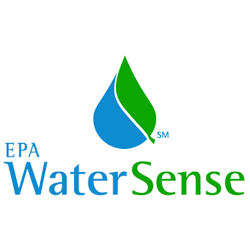 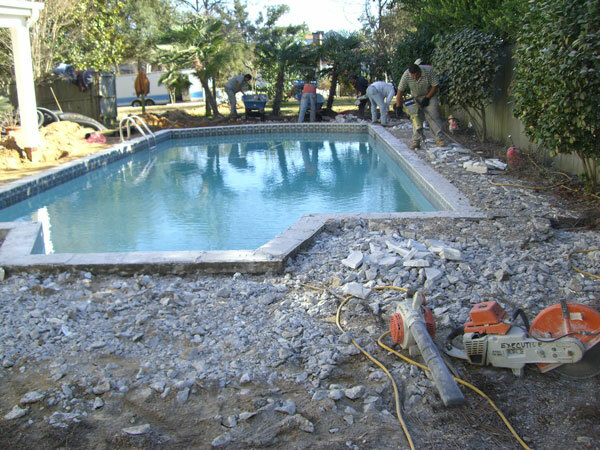 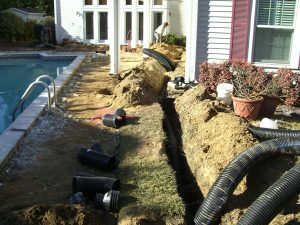 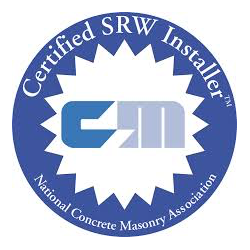 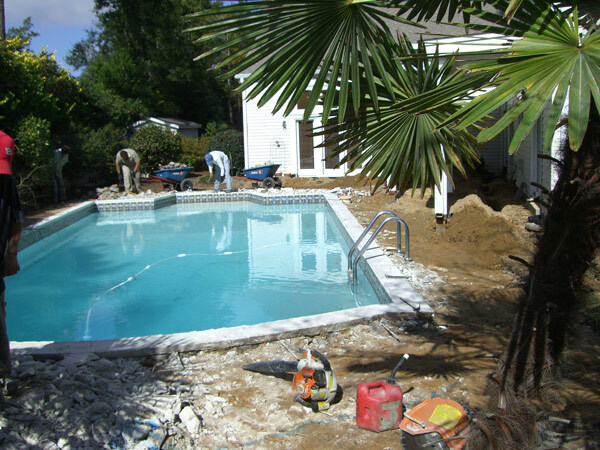 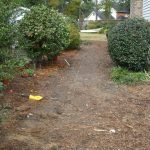 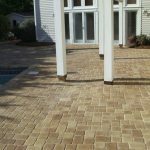 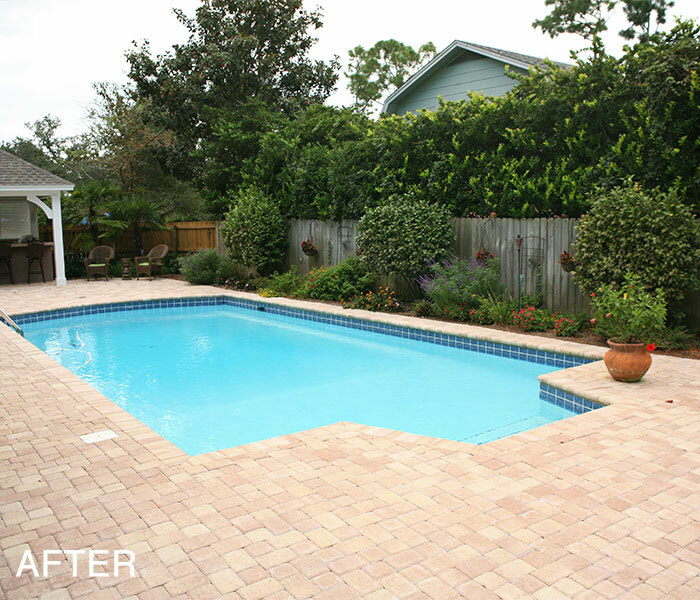 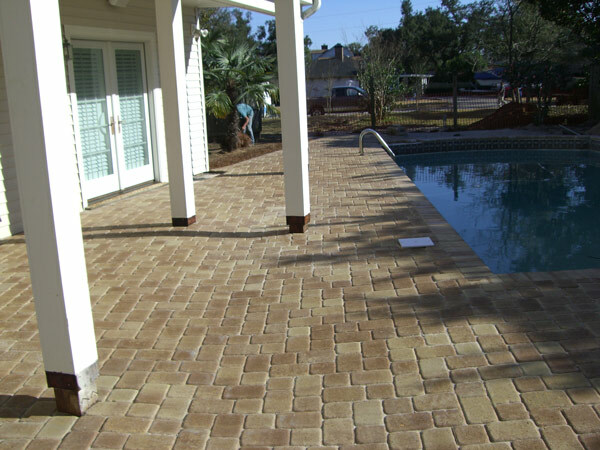 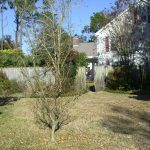 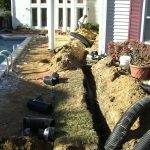 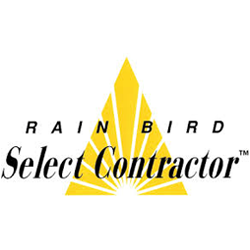 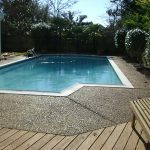 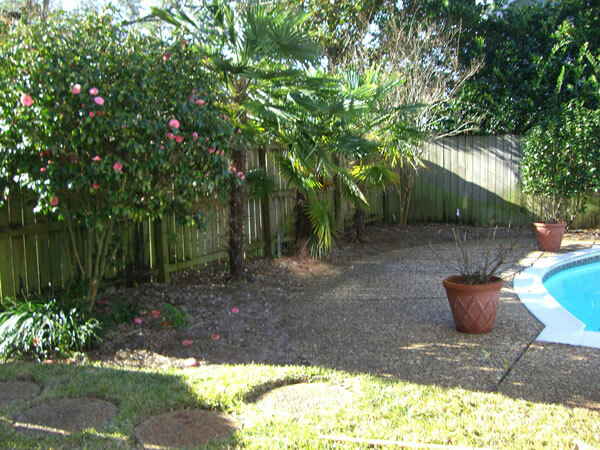 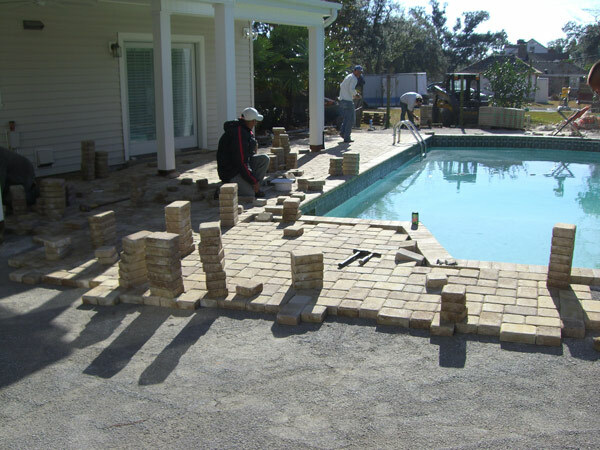 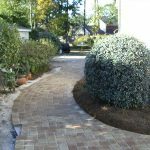 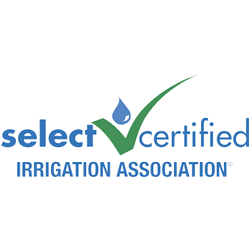 Pool and Patio Restoration Case Study - Executive Landscaping, Inc. 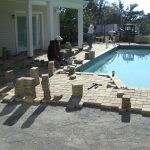 The original construction of the pool years prior did not allow enough drainage to prevent periodic flooding into adjacent rooms of the house, so the Sunnenberg's needed an effective solution that would also enhance their residential design and incorporate patio hardscape ideas that would elevate their existing residential landscape. 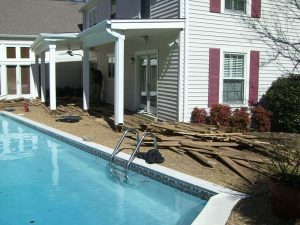 In addition to the poor design of the pool was the fact that the pool deck was damaged, and an addition had been made with unattractive wooden decking that had since begun to deteriorate. 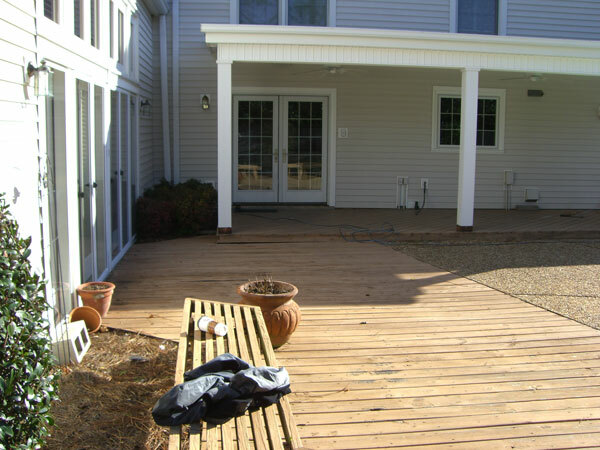 The addition was also inconsistent to the original deck’s elevation, creating trip hazards and an erratic appearance for the entire hardscape design. 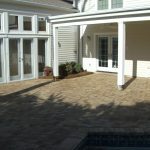 Employing our expertise in patio hardscape ideas for residential design, the team at Executive Landscaping, Inc., worked with the clients to assess the issue and provide effective solutions that would also improve the backyard further with the addition of an outdoor kitchen and cabana to freshen up the look of the pool area. 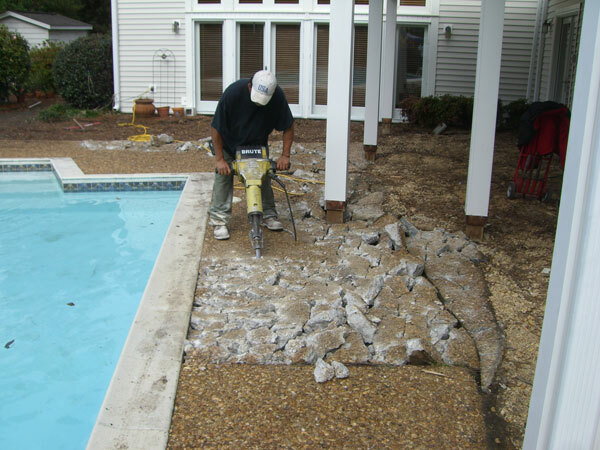 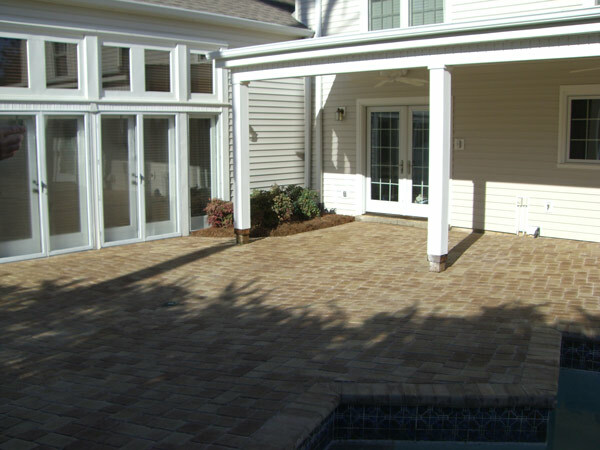 Any patio hardscape ideas we presented the client first needed to eliminate the step down from the porch onto the pool deck and resolve the drainage issues that were causing flooding. 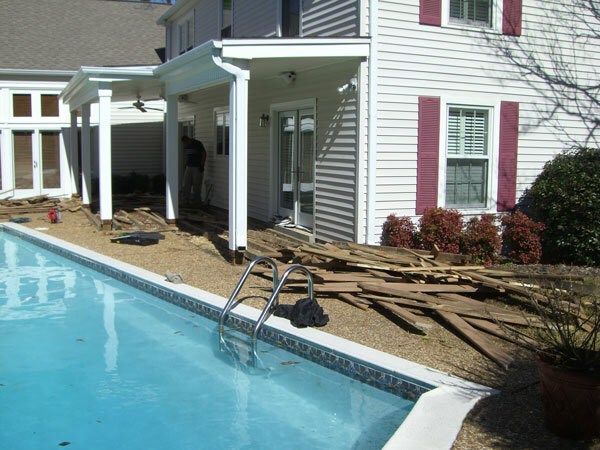 Because of the poor design and deterioration of the existing deck, the task of improving it and adding a cabana was very simple. 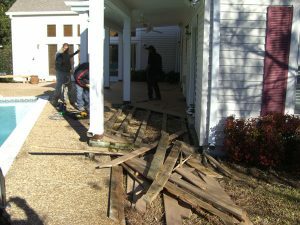 Our first action was to remove the old wooden deck and then remove the pool deck so that rainwater could be redirected away from the house and pool and into the drainage system to prevent flooding. An existing elevation fall from the pool deck area to the street provided natural drainage, so we utilized that fall to work in our favor by installing catch basins and downspouts from the gutters and then tied them into a six-inch line that ran downhill to the street. 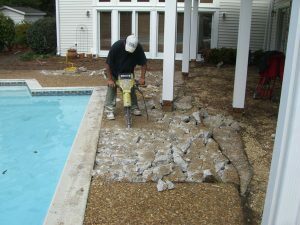 Once the base had been re-built with four inches of compacted crushed aggregate to encourage drainage further, we installed pavers to create a new porch and pool deck and added additional walkways to a separate patio in another area of the backyard where a koi pond was incorporated into the patio hardscape ideas to provide further visual appeal. 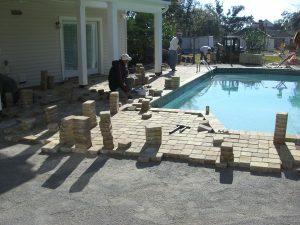 To complete the project, landscape material was added, and a cabana and kitchen were constructed. 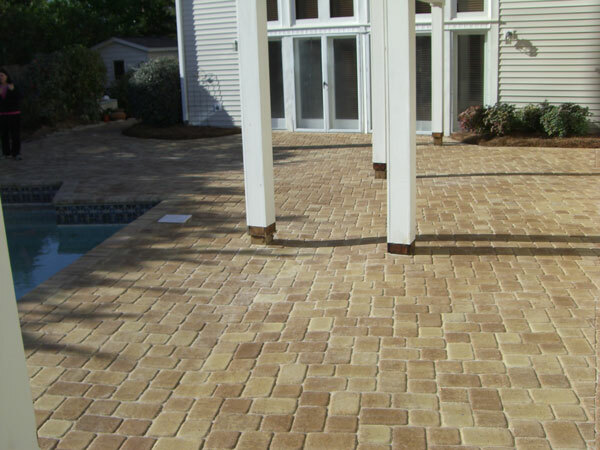 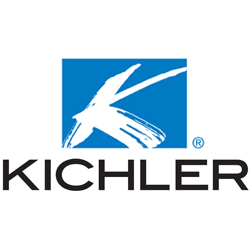 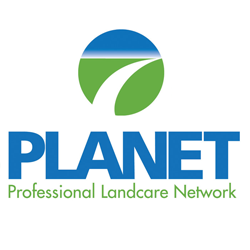 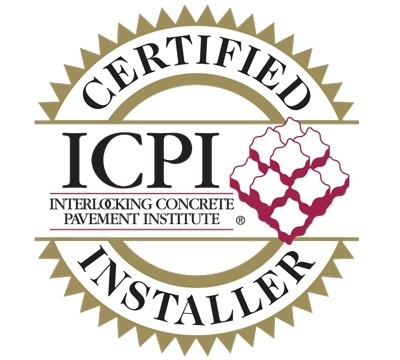 Need the expert touch to bring your patio hardscape ideas to life? 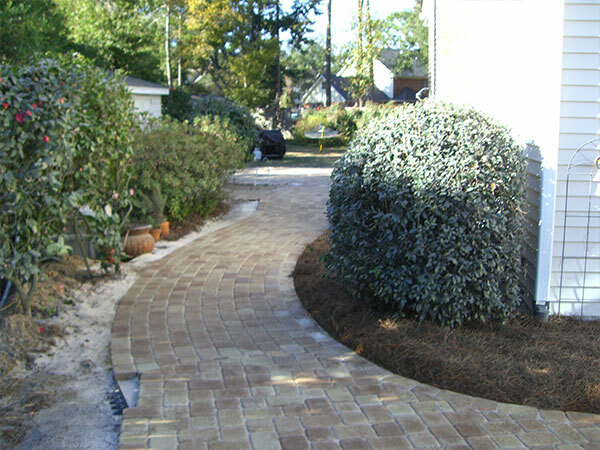 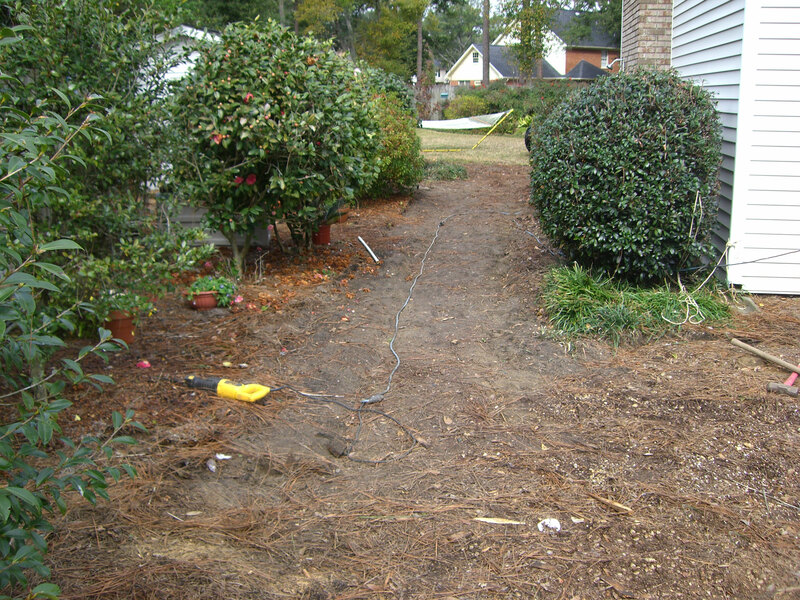 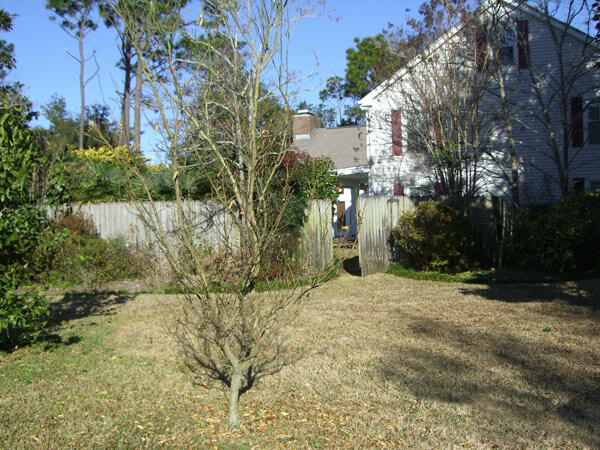 Call the team at Executive Landscaping, Inc., for a custom estimate today!